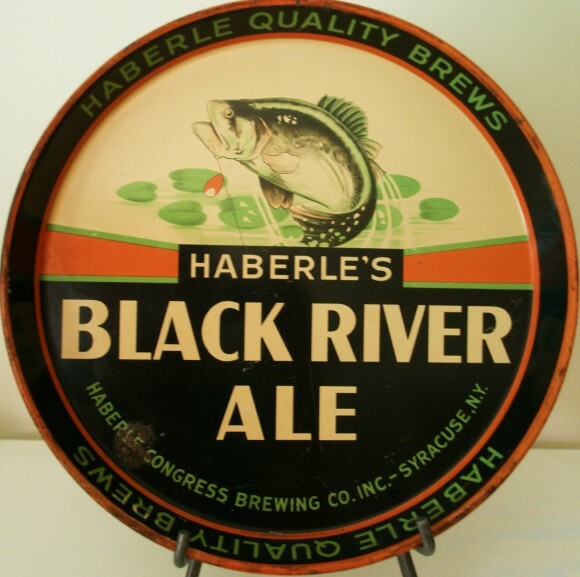 Serving Tray for Haberle’s Black River Ale form The Haberle’s Congress Brewing Company, Incorporated out of Syracuse, New York. At the top it shows a picture of a caught fish. The text Haberle’s Quality Brews is stated around the border.